We provide the following carpet care tips for you as a courtesy, but we cannot guarantee the results of do-it-yourself upholstery and carpet care. A professional upholstery and carpet cleaning specialist is your sure bet for the best possible results. Please feel free to contact Jim Morris with any questions or special needs. 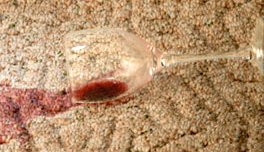 Most accidental spots and spills on your upholstery or carpet can be resolved with no permanent damage to the fibers. More serious damage usually results from overreacting. Follow the advice below for immediate cleanup, and give Jim Morris a call to walk you through other necessary spot cleaning steps.